Leisure Systems, Inc. (LSI) has developed a very experienced, knowledgeable and creative staff to help the members of our Jellystone Park franchise network with their business. 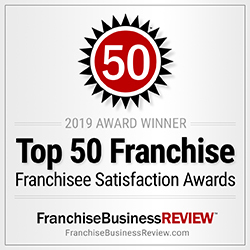 Responsible for all facets of the Company’s business operations including developing system-wide marketing strategies, legal oversight, handling franchise contract negotiations, and interfacing with the Franchise Advisory Council. Rob has been with the company since its acquisition in August 1989. Since 1976, Rob has been associated with Hanna-Barbera related properties having held several positions with the Kings Entertainment Company theme park group (now known as Paramount Park Group.) Rob holds a Bachelor Degree in Management and Marketing from the University of Cincinnati and has extensive operating experience in developing and implementing research, promotional, sales and marketing programs. 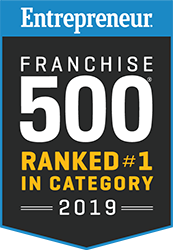 Responsibilities include coordinating the Company’s efforts with its franchisees in operational matters, developing training seminars and manuals, coordinating park inspections, and reviewing potential new franchisees. 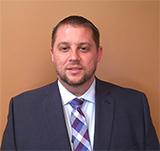 Dean has a very thorough and extensive knowledge of Jellystone Park operations having held the position of manager at the Traverse City, Michigan Jellystone Park. During his tenure there, Dean received one of the system’s highest awards, “Operator of the Year”. Dean received a Bachelor of Science Degree in Parks and Recreation Administration from Michigan State University and is a lifetime Certified Park Operator. Dean has been with LSI since June 1991. Responsibilities include annually sourcing and creating over 300 customized resale and operational products, most of which are exclusive to Jellystone Parks; working closely with Warner Brothers Brand Assurance to make sure all LSI merchandise is compliant with license agreements; managing all aspects of merchandise ordering, shipping and billing. Sheila supervises the warehouse staff, administers the online merchandise store, and assists parks with merchandise ordering and store setup. Sheila holds a Bachelor of Business Administration in Marketing and International Business from Ohio University. She has held both buying and sales positions in her 15 years experience in the retail industry and has been with LSI since 2001. Responsibilities include human resoures, monthly financial reporting, payroll administration and financial coordination of franchisee accounts. Tracey has a solid background in the business and financial reporting system presently used by LSI. Tracey has a Bachelor of Science Degree in Mathematics and Statistics from Miami University of Ohio and has been with LSI since 2002. 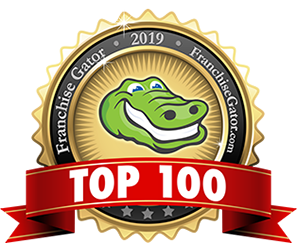 Oversees all franchise marketing initiatives including website development, advertising, public relations and the Club Yogi Rewards loyalty program. Works directly with Warner Bros. to ensure license requirements are met. Michele holds a Bachelor of Science Degree in Marketing and Computer Information Systems with a minor in Journalism from Indiana University and has over 12 years of marketing and project management experience. Michele joined LSI in 2003. Responsibilities include overseeing various training programs including C.A.M.P., a program for new park owners and managers; C.A.R.E., a camp-resort program for recreational personnel, and Symposium, LSI’s annual convention . Kelly has been with LSI since 2007 and with Jellystone Parks since 1987 when her family joined the franchise system. Kelly worked as General Manager of the Jellystone Park in Amboy, IL from 2003 – 2007 and received the Jellystone Park Systems’ Operator of the Year in 2003 and 2006. Kelly is a lifetime Certified Park Operator, a graduate of the National School of RV Parks & Campground Management, and holds a Bachelor Degree in Sociology from Bradley University. Responsibilities include: Training programs with a focus on technological issues and Camp-Resort operations, Campground Manager/financial setup guidance, and conducting a majority of the campground inspections. Andy and Jane have 12 years of campground operational experience through ownership of Jellystone Parks. Andy studied accounting at Andrews University. Jane’s Bachelor’s degree is in Business Management. In addition, Andy’s experiences as CFO of various businesses, plus Jane’s experience in middle management at a computer engineering company provide a varied background in all areas/functions within an organization. Andy and Jane have been with LSI since 2007. Responsibilities all clerical duties involving the President/COO, preparing legal franchise documents, provides online and phone support for customers of the system wide Club Yogi Rewards program, processes Reward points for customers that are sent to the LSI office from franchisees, assists with the office clerical duties; filing, mailing sorting, orders all office supplies, maintains office machines, helps manage current franchisee information helps coordinate Symposium with other staff members, assists in clerical duties for the Camp and Care programs, overseeing daily office activities. Stephanie joined LSI in 1999. Lauri is responsible for the day-to-day management of the Club Yogi Rewards program including franchise training, member communications, customer service, and program evaluation. She also develops mutually beneficial partner relationships and expanding member benefits to increase member participation and engagement. 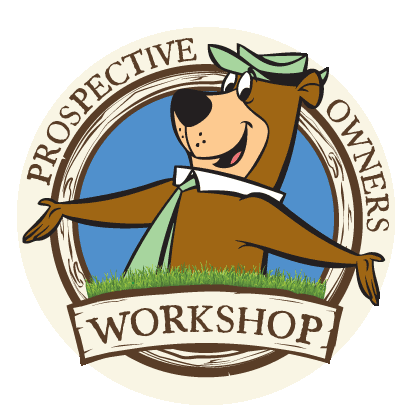 Lauri also works directly with the Parks to customize marketing opportunities to their members. She has over 20 years of marketing and management experience, with 10 of those specifically in loyalty marketing. She has a Bachelor’s degree in Business Administration in Marketing and Management from the University of Cincinnati. She has been with LSI since May 2011. Responsibilities include being in charge of all outgoing and incoming shipments. This includes all 400+ resale & operational merchandise items, Promotional/Club Yogi Rewards, Costumes, Statues, and other miscellaneous operating items. He is the contact person for shipping errors, tracking and damages. Dan is also in charge of scheduling and communicating with franchises regarding borrowing LSI costumes and Trade Show Booths. He is the contact for all marketing materials including polybags, national brochures, and Club Yogi Rewards Collateral. He conducts semi-annual inventory audits and maintains all warehouse organization. He also assists the Vice President of Retail Operations in various responsibilities, including quality control. Dan joined LSI in 2007. Myra assists the Vice President of Finance/Controller with many of the accounting duties. She has over 10 year of experience in accounting and is currently working on her Bachelor’s Degree at Indiana Wesleyan University. She joined LSI in 2012.